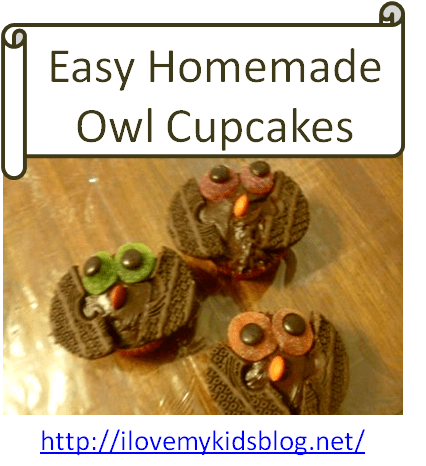 My daughter’s teacher loves Owls….so now….. she loves owls too! 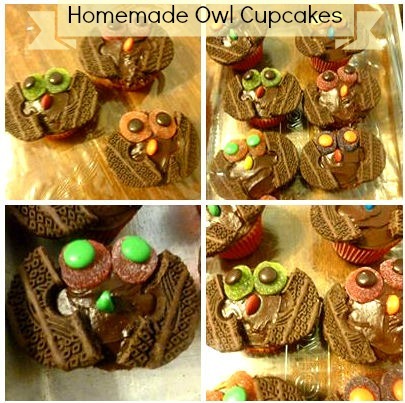 😉 For her birthday treat she wanted to take owl cupcakes to her class. 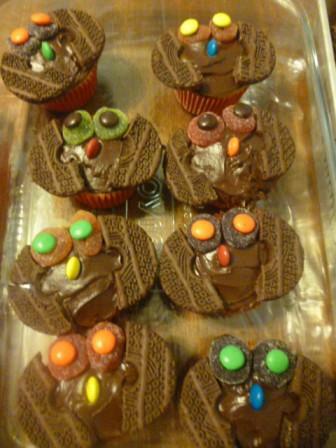 I hit up Pinterest and Google and found a ton of labor intensive owl cupcakes that if I attempted to make they would have ended up on one of those Pinterest fail sites. SO we decided to design our own! 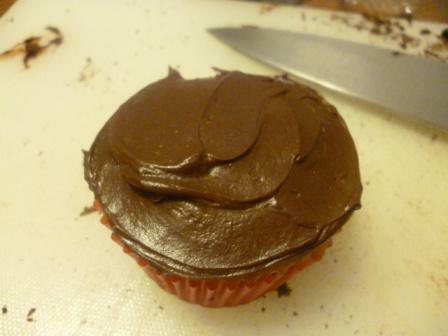 Bake your cupcakes and gather your supplies! 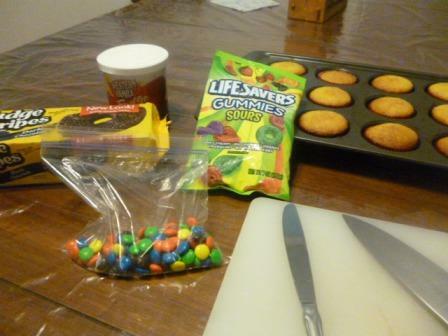 You need: cupcakes, frosting, chocolate cookies, soft lifesaver rings, and M&M’s. 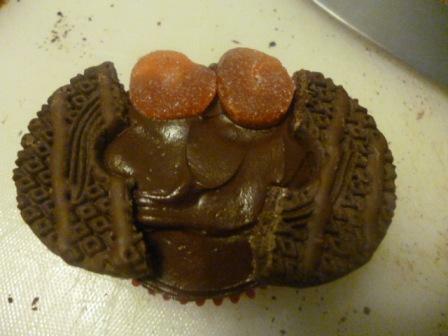 Add gummy lifesavers for the “big part” of the eye. 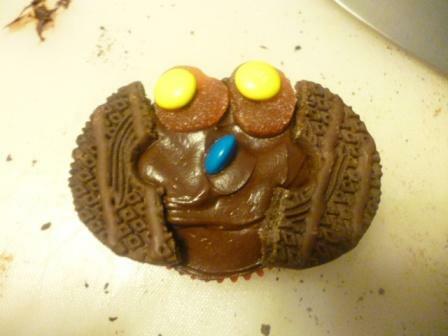 Add an M&M for the “beak”. 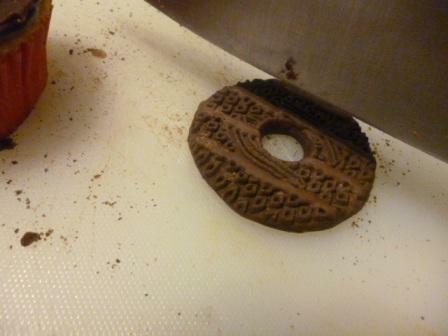 STEP 7: REPEAT until done! My daughter liked the ones with bright green eyes the best! 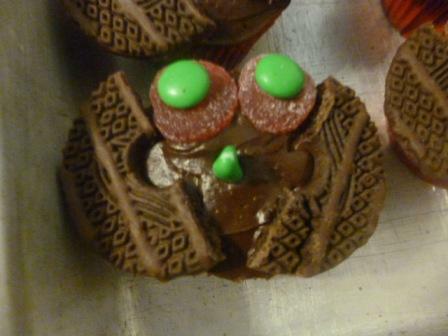 It took us about 45 minutes to decorate 30 of these owl cupcakes. 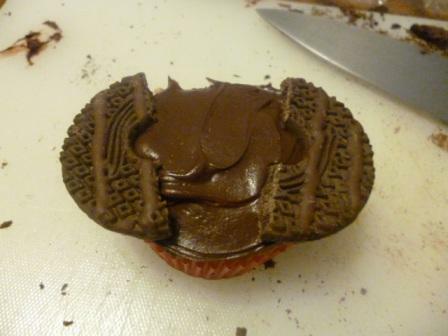 The time spent with just her was priceless, we laughed, we spilled, we dropped, we ate….it was perfect! 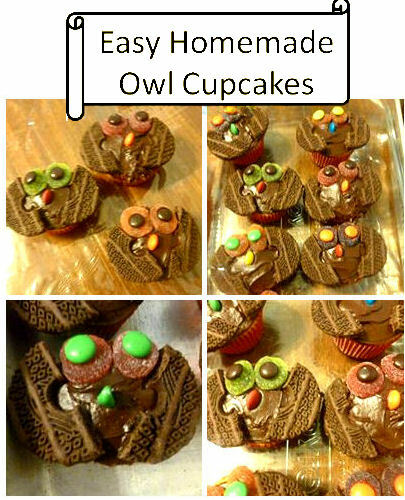 The kids at school LOVED these and knew right away that they were owls! 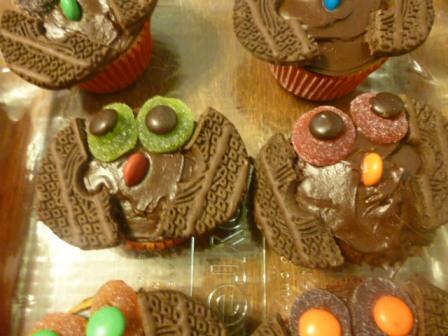 « Spooky Halloween Ideas: Treats, Decor and more!